(RCA) 9 Tracks - Reissue of the original 1962 RCA Victor film soundtrack! 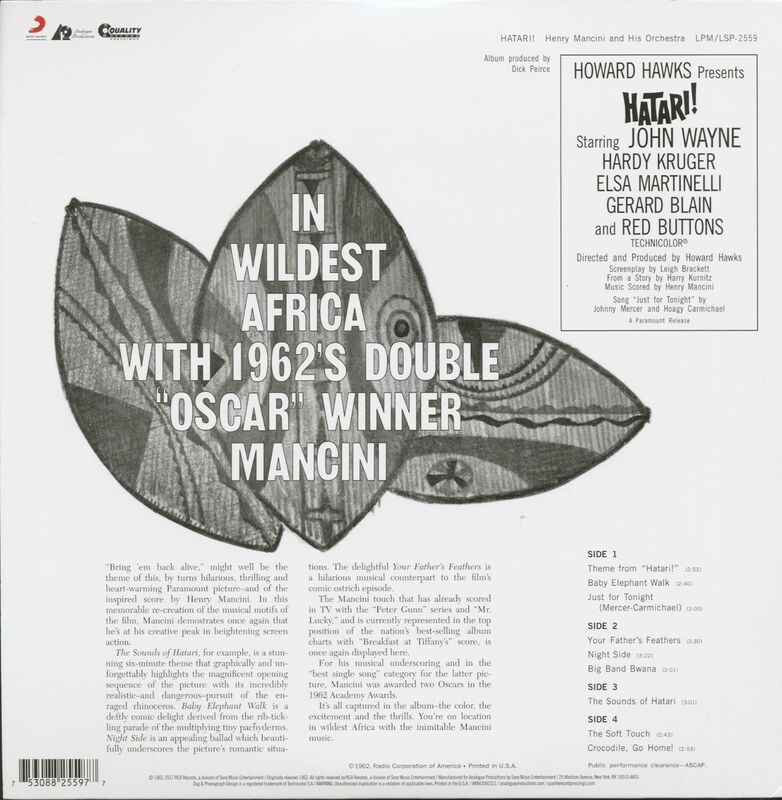 Deluxe set, high quality gatefold cover jacket, rice paper inner sleeves, analog masters from the original master tapes, HQ pressing on 180g vinyl, limited edition of less than 1000 copies! 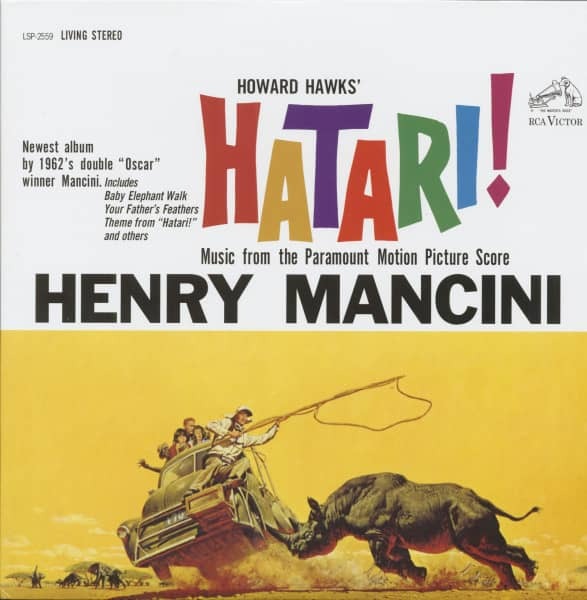 Hear the jungle exotica with a twistin' Baby Elephant Walk from the movie 'Hatari! ', starring John Wayne, Elsa Martinelli and Hardy Kruger, music by Henry Mancini and his wonderful orchestra! Kundenbewertungen für "Hatari! - From The Motion Picture Score (2-LP, 180g Vinyl, 45rpm, Limited Deluxe Set)"